BrainFuture's mission is to advance the future of mental health by promoting findings in treatments and programs that produce superior results combining digital therapies and new medications with self-care strategies including mindfulness, exercise, diet and fitness. In anticipation of their 2017 conference, BrainFutures required a mobile responsive website to build excitement, drive ticket sales, and strengthen brand awareness. The engagement began with a series of stakeholder interviews to define business goals and fully understand the target audience. This was followed by experience concepting, wireframing, and prototyping allowing us to test the experiences we intended to create while validating assumptions and gathering feedback on design concepts. Creative Strategy; User Experience Design; Content Strategy; Visual Design; Front-end development; Project Management. 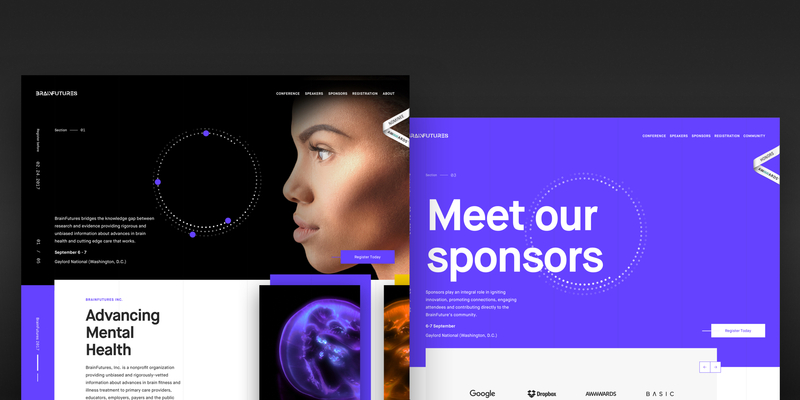 Design efforts focused on creating an immersive content-rich experience combining interactive elements, dramatic colors, bold typography, and plenty of white space. 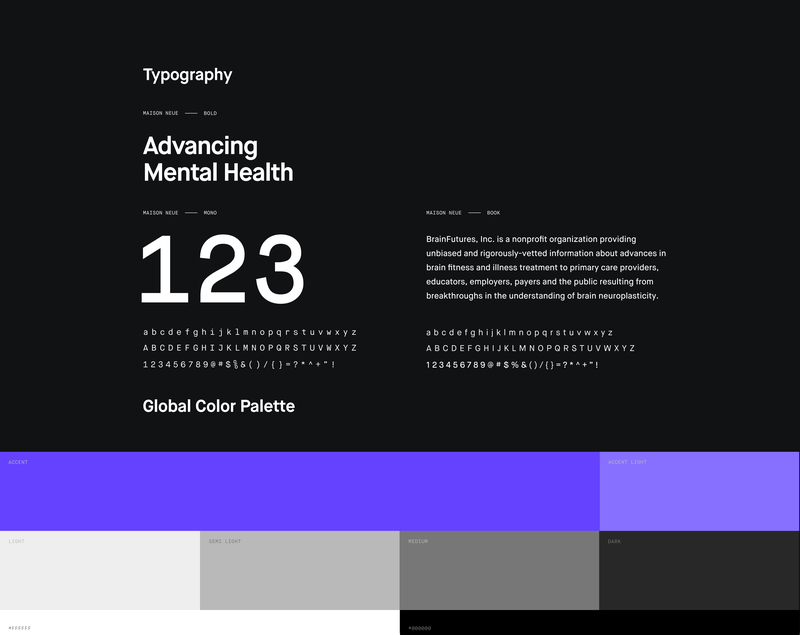 Leveraging a component-based UI approach allowed for an extensive library of design components that served as a point of reference for stakeholders, designers, and developers facilitating a consistent experience across devices. As Director of User Experience, I led a core team of designers and developers navigating the creative process from start to finish. 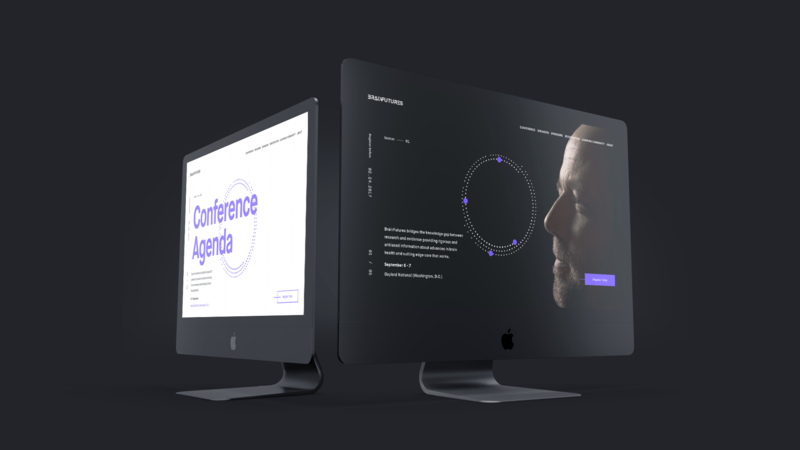 My Initial efforts focused on understanding core business objectives, conducting extensive user research and stakeholder interviews, and the creation of a strategic vision and roadmap outlining the experience. This was followed by wireframing, interactive prototypes, and iterative design aimed at validating assumptions and gathering feedback on visual concepts. 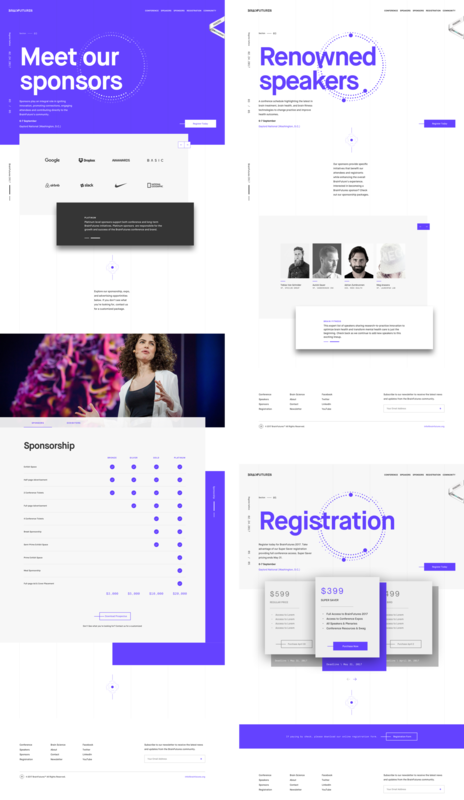 As a proponent of design-driven development, I aided in the development of front-end components aligning designers and developers to ensure the delivery of a user-centric site. 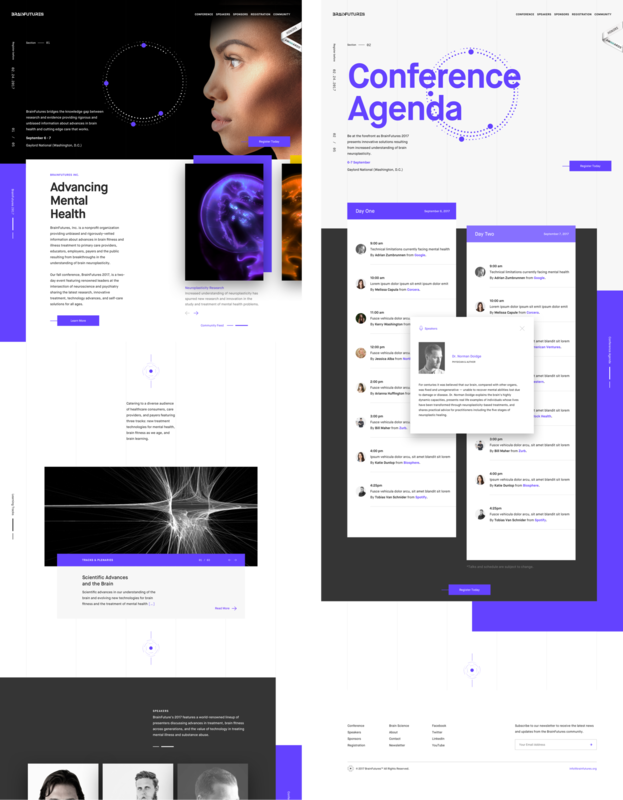 Backed by a custom CMS our efforts produced a seamless experience combining Brainfuture’s groundbreaking content with their dedication to advancing brain science and mental health. The website allows visitors to gather information, explore and purchase sponsorship packages, buy tickets, and engage with the broader mental health community. © 2017 Jonathan Speh. All Rights Reserved.